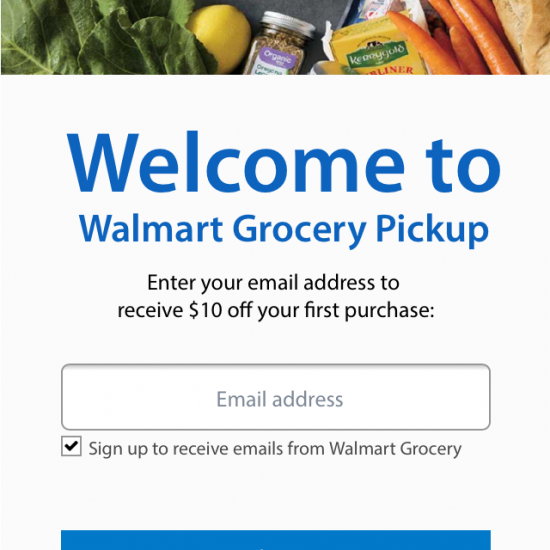 It’s hard to change the way that people shop for groceries. 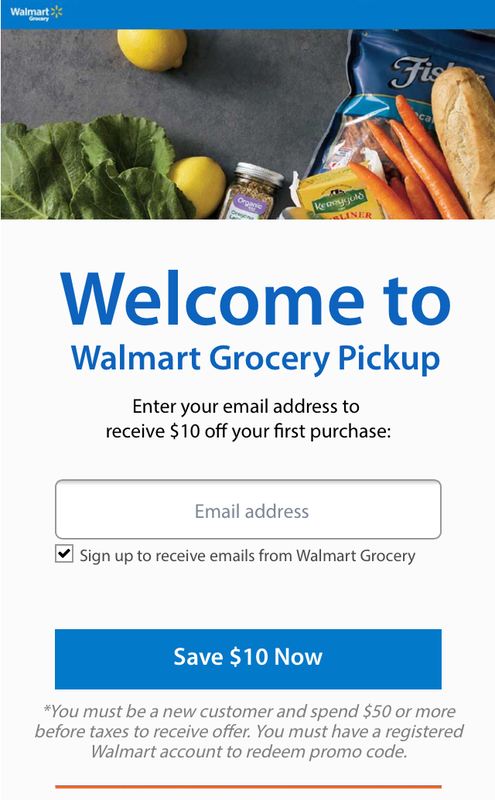 With a relatively small $10 dual-sided incentive, Walmart banks on their ease-of-use and brand reputation more than a strong financial incentive. 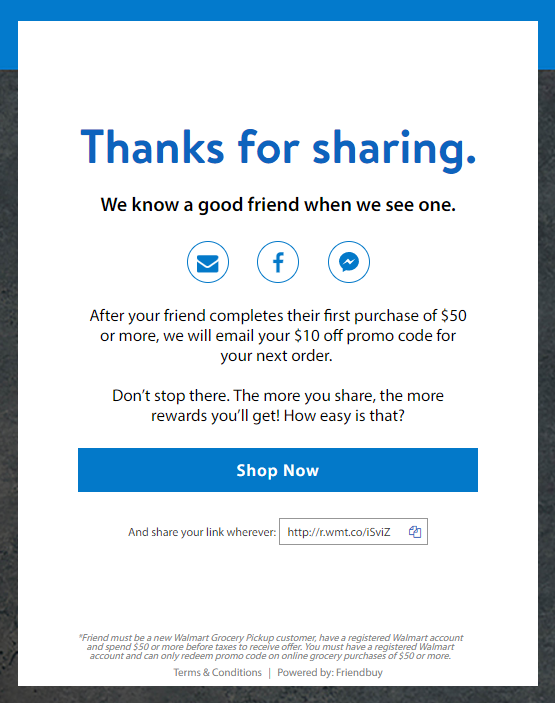 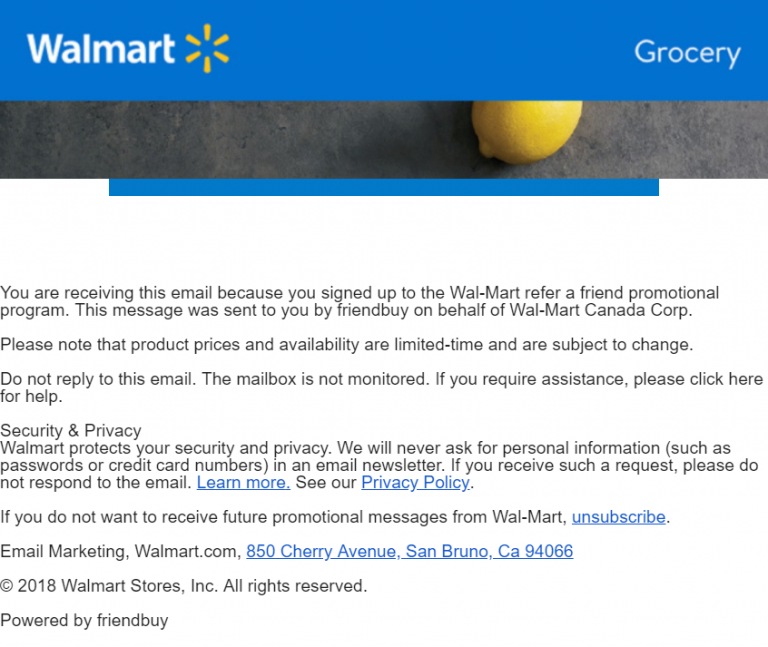 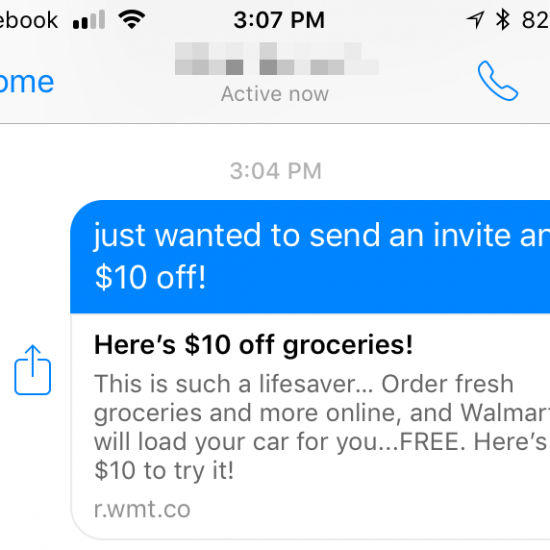 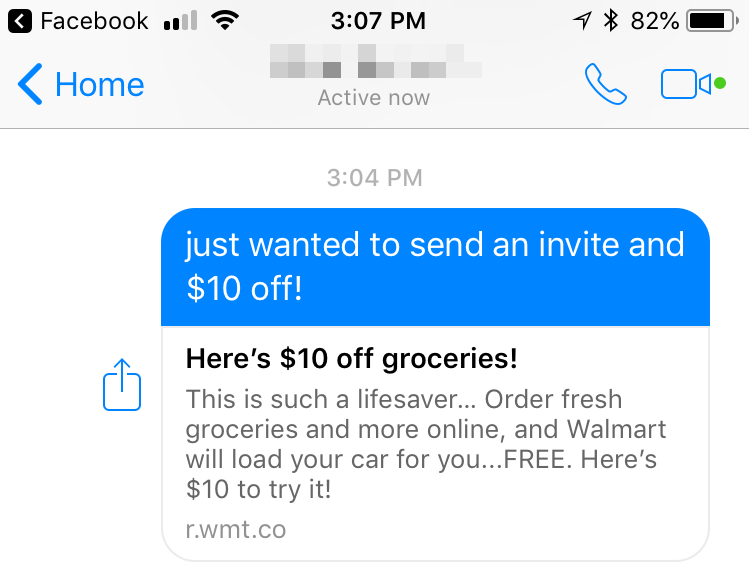 Walmart Grocery’s referral program is designed to get people to try their online grocery ordering service that allows ordering of groceries online and picking up in store.